One of our cat lady friends Miss Bonnie is an author and asked if mom would be willing to review an anthology that she put together of cat stories. 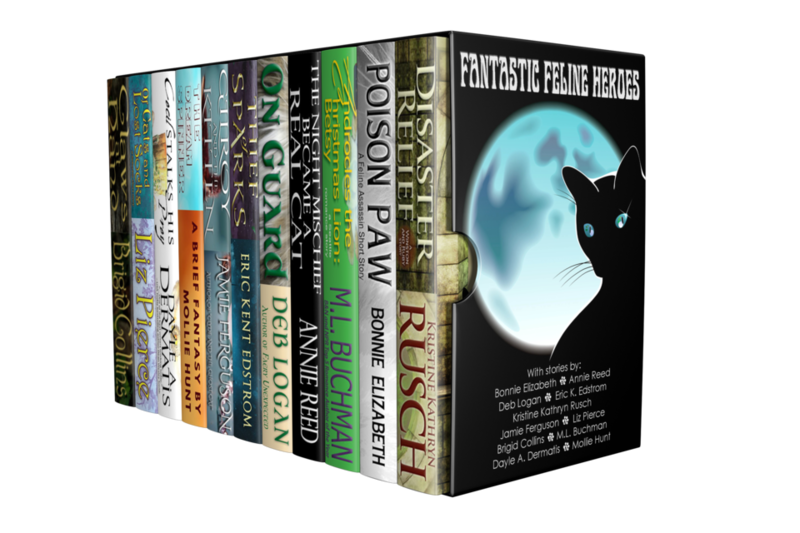 The Fantastic Felines Heroes is available through bundle rabbit and a 10% donation will be made to Blind Cat Rescue or Milo's Sanctuary for every purchase. Mom loves a good anthology and this contains 11 stories from different authors. There are a couple advantages to anthologies....you get several short stories and introductions to authors that you may not have read before. And since mom is always on the lookout for new authors to add to her reading list, this is a great opportunity for her. Mom had a few favorites.... Poison Paw was interesting and she is going to look into reading more in that series. Gilroy and the Kitten was adorable and made mom laugh. Mom says she gives it 2 thumbs up. Most of these stories are science fiction or urban fantasy type books (which mom enjoys). If you are looking for a nice series of short stories....that gives back to cats....this is a great option. *disclosure: mom got the anthology free of charge but that did not affect her opinion. all opinions in this review are her own. That sounds like a great idea. The mom here isn't really into science fiction but they sound like a good read.Thanks for that great review. Science fiction and cats?!? Yes, please! That sounds like a cool bundle! Wow, what a great idea. Thanks for the review.